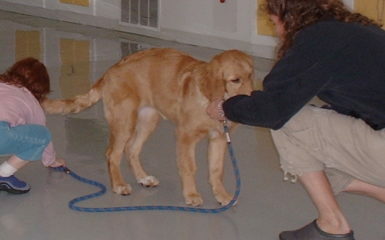 Four Legged Scholars Dog Training, Salt Lake City teaches clients to focus on what they want with their dogs. As humans it is natural for us to focus on what we do not want. We tend to say negative statements. “I want my dog to bark less. My dog pulls on the leash too much. My dog is too jumping when guests come over.” These statements are true, however, when we repeat them in our minds day after day, we create more of what we don’t want. What we say and what we think in our minds is what we create in our lives. 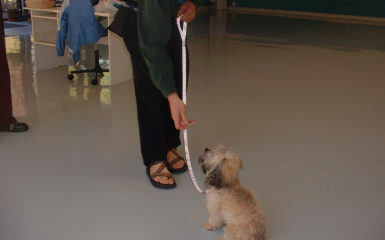 This means that our mind set is a crucial key point in dog training. So what is an alternative and how do we focus on what we want instead? Saying positive statements and focusing on what we want will create a huge difference. “I want my dog to be more quiet. I want my dog to walk loosely on the leash. I would prefer to have my dog sit more when guests come over to my house.” These statements allow the mind to create a visual picture of the terminal obedient behavior we are wanting with our dogs. When our mind is focused on what we want, we more easily come up with solutions to create dog obedience. Since our behavior mirrors our thoughts we will remember to reward a quiet dog, a dog walking on a loose leash or a dog that is sitting instead of jumping. 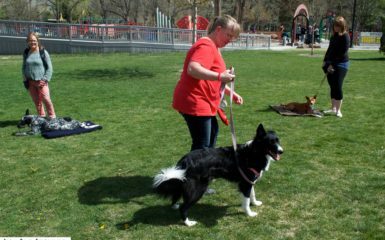 Phoebe is learning to settle in our dog training Salt Lake City course. Notice how focused the owner is on waiting for a sit to reward the exact behavior she would like Phoebe to perform. If you are still having difficulty shifting to a more positive goal think about asking yourself more productive questions. Here are some examples: “How can create my dog to be more quiet? I wonder how I can create my dog to walk loosely on leash? Hmmm how can I create my dog to settle more when guests are over at my house?” Your brain is now focused on the solution instead of the problem. 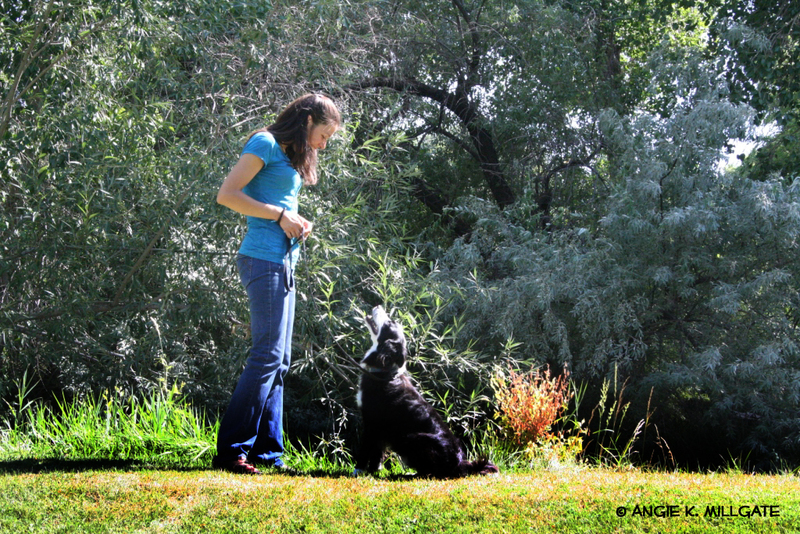 A crucial part of being an awesome salt lake city dog trainer! 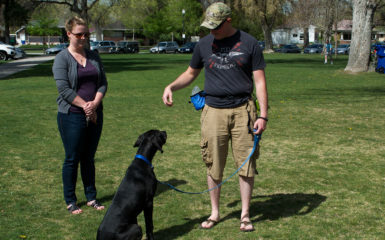 Our Salt Lake City dog training company focuses on the above concepts in both our group dog training courses and private courses.